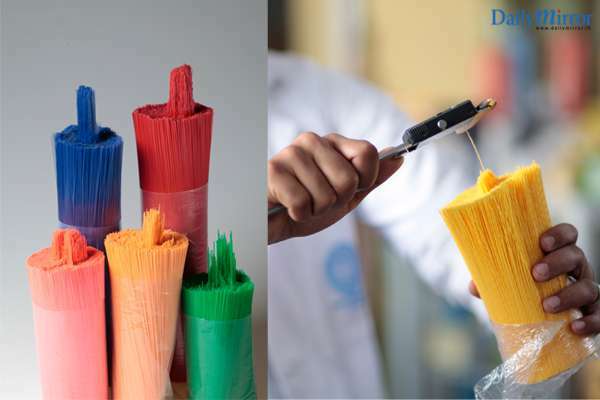 Eco Spindles Pvt Ltd is leading the way in sustainable manufacturing by recycling plastic waste into an array of new products and mastering the art of taking discarded plastic waste and converting it into high quality products that can be used across multiple industries. The company’s work has helped to encourage a circular economy at a national level, boost economic growth, encourage the use of eco-friendly materials and support the livelihoods of countless Sri Lankans. Yarn, brushes and textiles galore: The Company operates a monofilament industry to manufacture brushes and other janitorial products. Eco-Spindles also spearheads the group’s latest state-of-the-art polyester yarn plant, in which yarn is produced exclusively from recycled Polyethylene Terephthalate (commonly known as PET flakes). Impressively, this is only one of two plants globally, which creates yarn directly from flakes, circumventing the polymerization process where flakes are first converted to chips and then to yarn. Eco Spindles is also using the recycled plastic and creating textile polyester yarn for fabric to be sold within Sri Lanka to textile giants such as MAS, Hirdaramani, Hela clothing etc. 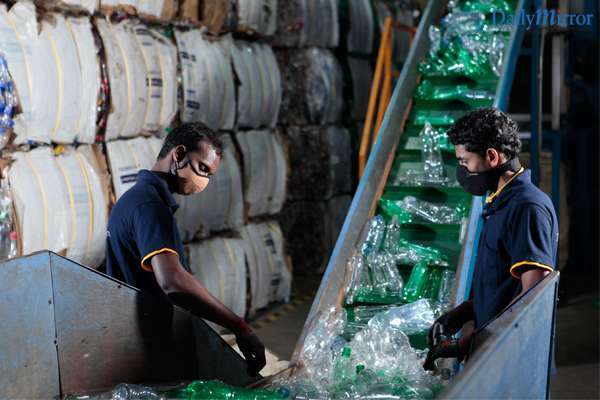 Clearing up the nation’s plastic waste: Eco-Spindles’ recycling operation has a massive beneficial impact on the environment, as the company collects approximately 250 metric tons of plastic bottles a month, equal to 6 million bottles or 20% of the plastic bottles in Sri Lanka. Plastic from all over Sri Lanka is collected and sorted according to clear, blue and mixed colours. These plastics are then processed and end up as flakes. Most of the flakes are used by Eco Spindles and some are sold to other textile companies. Collections on the rise: Eco Spindles has a well-established network of over 125 collection points set up across the country, which ensure that nearly 250 tons of PET waste is collected month. Eco Spindle’s quality compliance, including Global Recycled Standard (GRS), Restricted Substances Lists (RSL) and Oekotex Standard 100, ensure that all yarn, which is produced by the company, meets stringent international standards. The plants are managed by an experienced workforce of over 160 staff including consultants and operators with over 15 years of experience. Both the recycling plant and the yarn plant are located at BOI’s Horana Export Processing Zone (EPZ) and its extrusion plant in Maugama. They dispose of their excess waste by selling it to INSEE, which has an integrated waste management system, and the waste water generated is sustainably managed by the Rathmalana Water Drainage Board, ensuring there is no negative impact on the environment as a result of the company’s operations. Keeping a truly green business running on multiple verticals, Eco Spindles has put several measures in place to reduce their energy use, carbon footprint and wastage volumes. 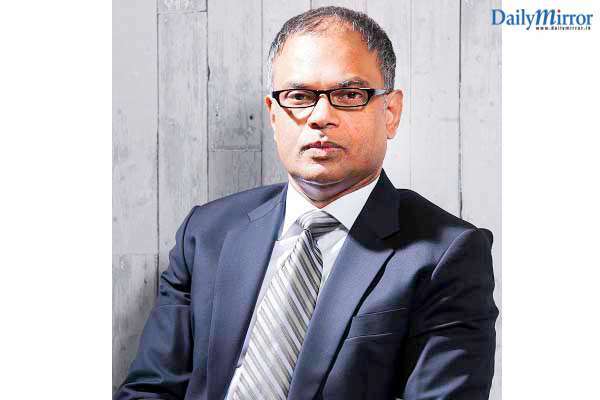 Giving back to the planet and communities: Commenting on the company’s experience working with the BOI EPZ, Dr. Anush Amarasinghe and CEO of Eco Spindles says: “Eco Spindles strives to operate in a way that sustains the delicate ecological balance of our planet. Our work is giving rise to a new passion for recycling at a grassroots level in Sri Lanka and our efforts are helping to drastically reduce solid plastic waste. We are also proud to give Sri Lankans from all walks of life, the chance to earn a living through our business and be a part of this recycling movement. By developing products out of plastic waste that can be used by multiple industries, we are able to give organizations the chance to be more energy efficient and environmentally-friendly. Our operation helps to ensure that plastics are disposed of and reused in an appropriate manner and our green production practices will help us to minimize our carbon footprint at large and that of other organizations as well. The BOI’s exceptional leadership role in promoting environmentally-friendly practices is driving greater awareness about sustainable manufacturing. We are grateful to the BOI for their continued support and for the critical role that the BOI zones play as hubs which offer ease of doing business in Sri Lanka”. Ushering in an era of clean production: As a future oriented company, Eco Spindles is recognized as a pioneering manufacturer, known for creating eco-friendly products and running a clean and green operation. The company is part of the BPPL Group, one of Asia’s largest producers of cleaning tools, and has been operating in Sri Lanka since 1986. 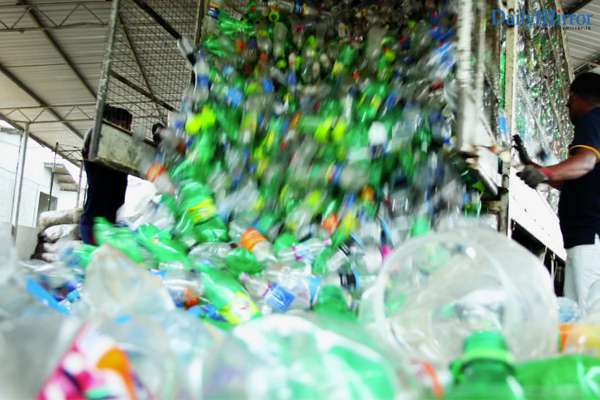 At the forefront of the nation’s recycling revolution, Eco-Spindles is leading the way in addressing the island’s plastic waste problem, and is empowering people, organizations and industries to actively become a part of the solution.